It was another beautiful weekend and we had a ton of outdoor fun. While sitting out on the grass, I was struck by this beautiful shadow that was cast on one of the rocks. 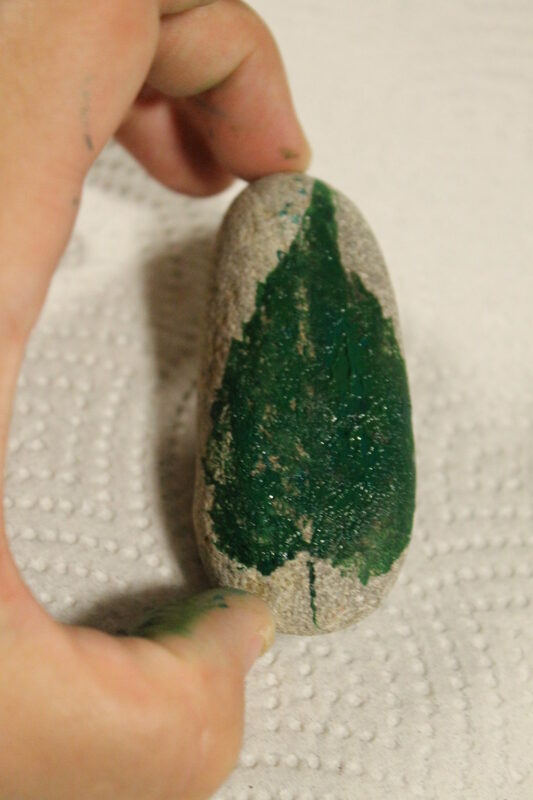 I quick ran inside & grabbed some paints and was going to capture the shadow on the rock with some paint. We explored shadows and art last month and I thought this would be a beautiful project to do. Alas, the sun disappeared and did not come back and I lost my lovely shadow. 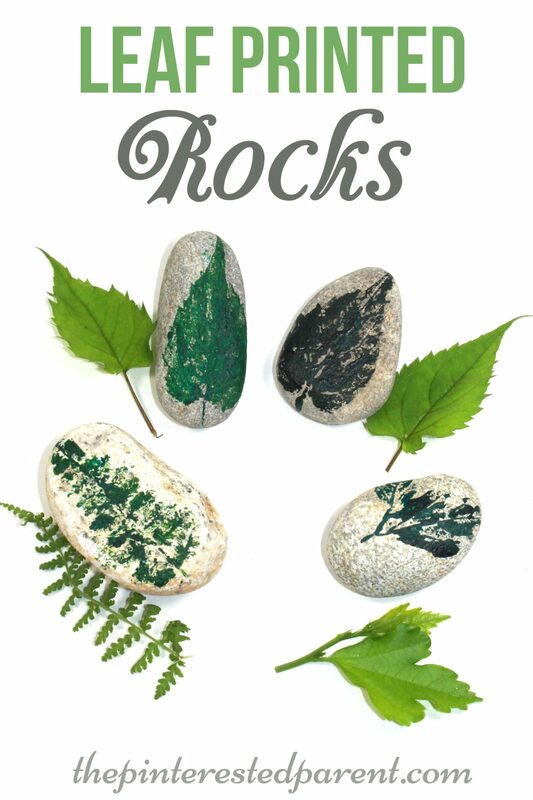 It did however inspire a different project with leaves and rocks. I could not paint my shadow, but I could still capture the beauty of a leaf on a rock. 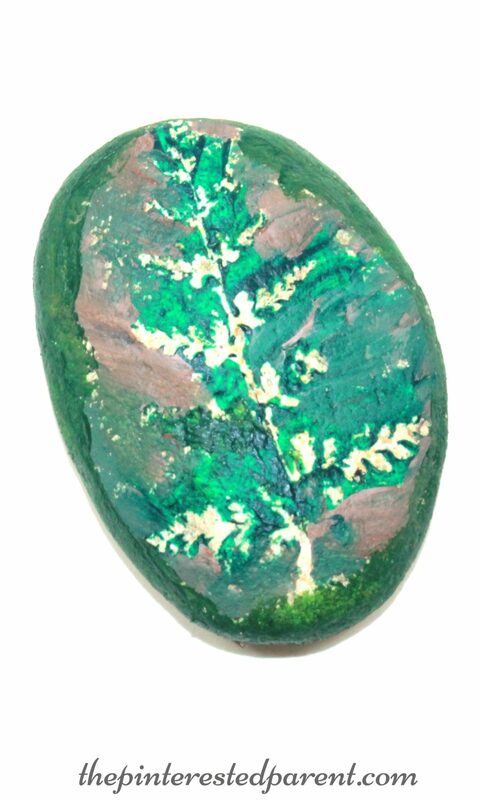 We tried using a fern for a nature resist painted rock. 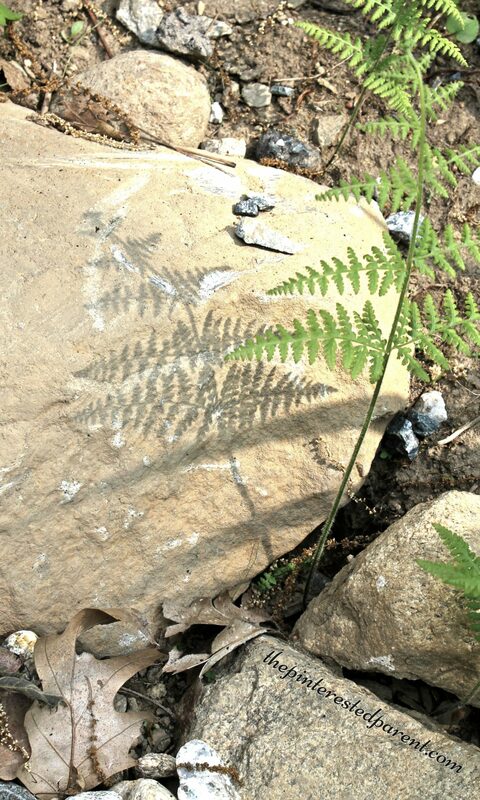 This was a little tricky because the fern moved around a bunch. 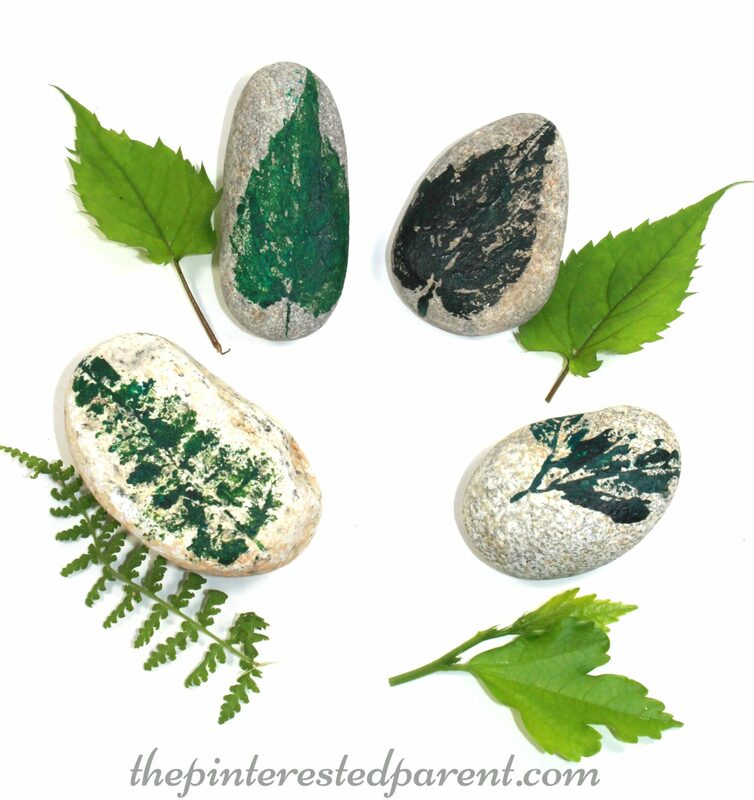 So instead, we tried painting the leaves and then pressing them onto the rocks. We used acrylic paint for ours. If the paint is too thick it does not have a nice effect, so make sure the paint isn’t old and clumpy. Applying a thin layer of paint works best or it might squeeze out the sides. Press firmly with your fingers around the whole leaf. After testing out a few, I found that painting the back of the leaf creates better imprints. 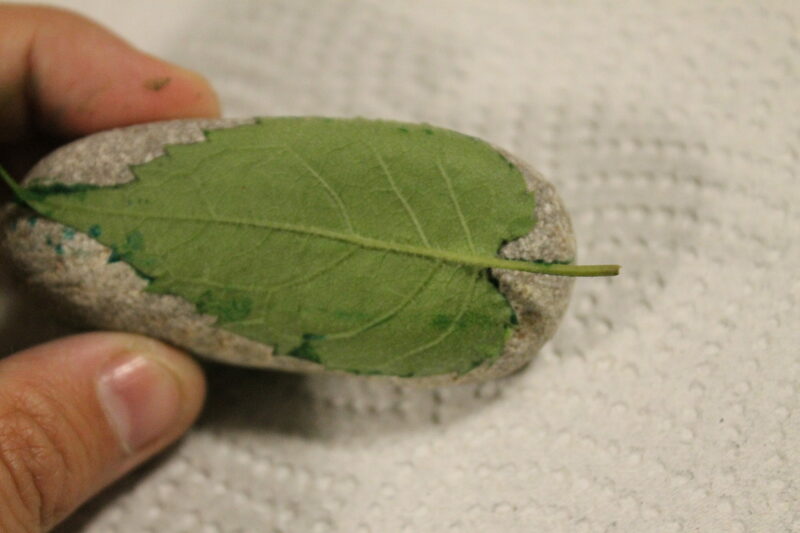 Remove your leaf slowly and check underneath to see if the paint transferred over enough If it has not, slowly lower it back down and press on the bare spots. Let the paint dry and then add a sealant if you choose to keep in the paint.